As part of our patient cleansing range, this Medipure Shampoo and Conditioner has been formulated to offer exceptional results. Blending two essential shower products into one, it effectively strips hair of dirt and grime while replenishing moisture to leave hair feeling silky soft. 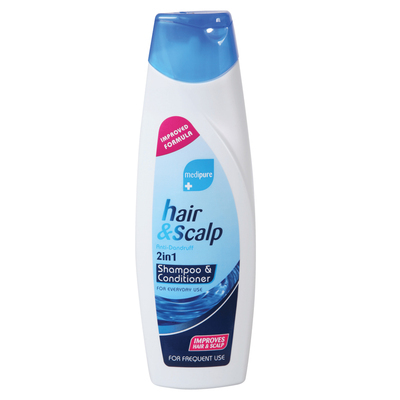 Suitable for everyday use, it has been formulated to help improve the health of both your hair and scalp while this large multi-pack of shampoo and conditioner is an ideal replenishment option for busy care homes. Our Patient Cleansing range has been collated to provide economy and convenience to our care home residents. From our Moist Cleansing Wipes through to Sosure Foaming Hand Wash and Clinisan Body Wash, you'll find the ideal product at exceptional wholesale prices.